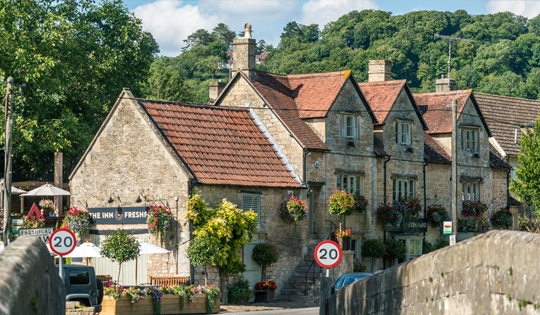 Around 5 miles/8km south east of Bath, the picture-perfect, super-pretty village of Freshford is easily accessible to walkers who meander alongside the Avon or Frome rivers, cyclists who make the most of access to the Kennet and Avon Canal towpath or those who favour leaping in the car and escaping to the country when the mood strikes, all of whom are richly rewarded for their efforts by finding themselves at the heart of a village that looks like a backdrop for a scene in a Beatrix Potter story… and any of whom will be richly rewarded for their efforts by a visit to The Inn at Freshford: a funky, quirky, no-fuss contemporary inn (recently under new ownership) specialising in proper, down-to-earth modern pub grub and featuring a splendid garden to chill out in when the sun comes out to play. 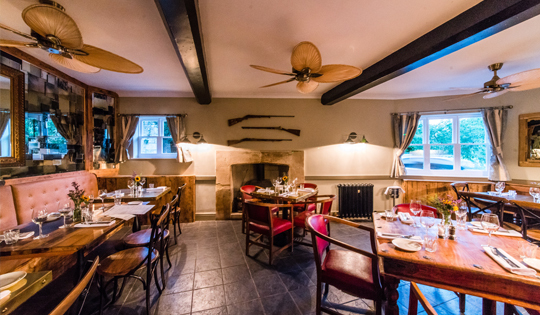 This 16th century pub may have ancient origins, but there’s a thoroughly modern backstory to recent developments at the Inn. 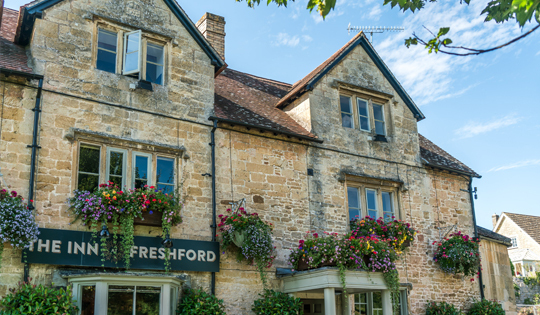 In 2016/17, the small but perfectly formed Ideal Trade Company took over the Inn at Freshford and two other beautiful pubs in the Bath locale, with the Cross Guns in Avoncliff (also boasting 16th century origins, nestled on the canal towpath and featuring panoramic views from the riverside pub gardens) and the Old Crown Inn on the Bath-Bristol road that passes through the picturesque little village of Kelston completing the triumvirate. 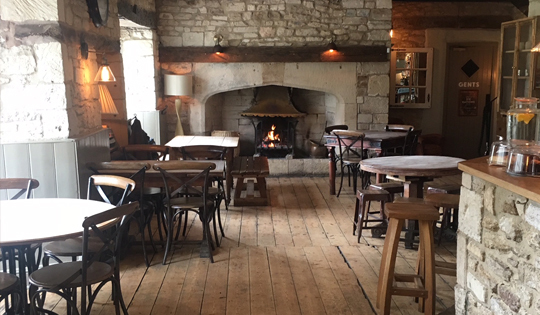 If any of the pubs were in need of some TLC, it was this one – and it’s an utter delight to see the honey-coloured stone building’s charms both within and without scrubbed up and refurbished to exacting contemporary standards, whilst still intelligently retaining the traditional pub atmosphere and putting the original timber beams and inviting open fireplaces into the spotlight. 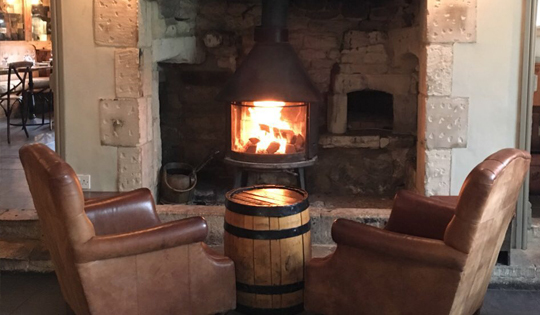 Stylish but practical design flourishes (an illuminated whisky cabinet mounted against an ancient stone wall; a formerly overlooked ante-room transformed into a cosy but spacious dining area; a wrought iron spiral staircase leading to a smart little chill out zone on the upper floor) are dotted hither and thither, while local and craft beers, ciders, a fabulous range of gin, cocktails and the pub’s own private collection of wines make a trip to the bar here a voyage of discovery. 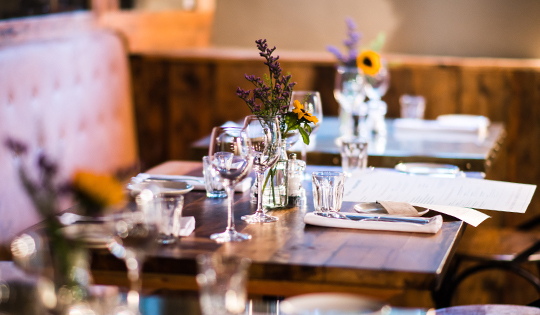 On the food front, seasonal menus push the freshest local produce to the fore, supplemented by meat, fish and vegetables smoked in the pub’s on-site smoke house. 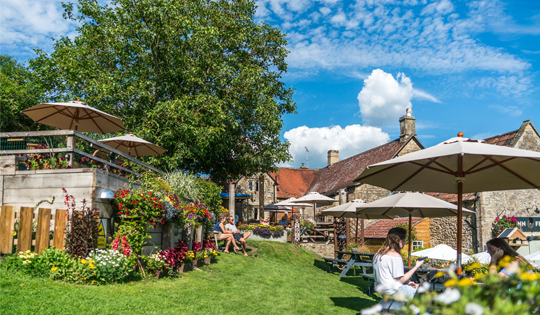 Further upholding the ‘proper pub’ tradition, sustenance ranges from bar snacks (whatever your tipple of choice, it’s way too wet without one of the pub’s homemade sausage rolls) to full-on 3-course feasts by way of an array of doorstop sandwiches served every day until 6pm and a wide selection of Small Plates/light bites that can be mixed’n’matched to create sociable sharing platters or taken individually as starters. Get Inn, piggies!